Supreme Court sets aside Punjab and Haryana Court Order declaring the entire Karoran Village as forest land, but the CBI investigation to continue. A Bench comprising of Justice A.K. Patnaik and Justice F.M.I Kalifulla, yesterday, set aside Punjab High Court’s finding according to which the entire land in village Karoran in the District of Ropar is ‘forest land’ according to the Forest (Conservation) Act, 1980. The Bench sent the case back to the High Court for a fresh assessment. The Court however didn’t set aside the High Court’s directions for investigation by the CBI. The Special Leave Petitions were filed against an order of the Division Bench of the Punjab and Haryana High Court. This Public Interest Litigation was taken up suo motu by the High Court, in furtherance of a news article which claimed development of Forest Hill Golf and Country Club in the area, in blatant violation of the environmental and forest laws as well as the orders passed by this Court in December 1996. The news article alleged that the Union Ministry of Environment and Forest had been informed by the Forest Department of Government of Punjab that the land in question was closed under the Punjab Land Preservation Act, 1900 and was a ‘forest area’, which attracted the provisions of the Forest (Conservation) Act, 1980. However, such use was permitted, as a quid pro quo because a large number of top IAS and IPS officers and other decision-makers have been given honorary membership of the club or have been allowed to use the premises and facilities of the Club for private functions. This 3700 acres of land was also shown to as ‘forest area’ in the Annual Administration Report and Register of Forest Area of the forest department. 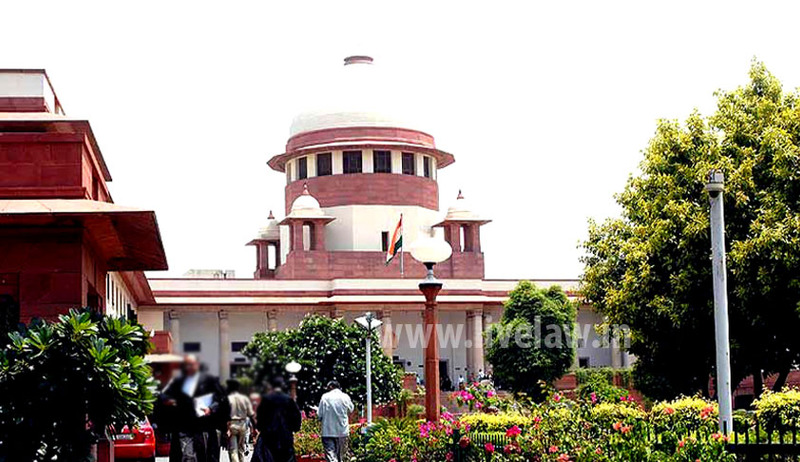 Also, the Expert Committee constituted by the Court in the case of T.N.Godavarman Thirumulpad v. Union of India & Ors. (1997) 2 SC 267, included the entire area of Karoran village as forest land in its report. Col. B.S. Sandhu, Managing Director of the Forest Hill Golf and Country Club, had contended before the High Court that merely because village Karoran is covered under the PLP Act 1900, the lands comprising the area of village Karoran do not become ‘forest land’. He also argued that until a notification was issued under the Forest Act, notifying a private land as ‘forest land’, a private land cannot be treated to be ‘forest land’. The High Court, therefore, discarded the latest entries of the revenue record and instead accepted the records of the Forest Department to hold that the land in question was ‘forest land’. All his contentions were rejected by the High Court but subsequently accepted by the Supreme Court. The High Court hence, ordered immediate closing down of the entire enterprise, demolition of all the illegally erected buildings within a period of three months and to handover the ‘management’ and ‘control’ of the land in question to the State Forest Department. The High Court also directed the Central Bureau of Investigation, through its Director, to constitute a Special Investigation Team which shall hold an investigation into the accountability of top executive and administrative functionaries of the departments concerned of the Government of Punjab, some officers of the Central Government in relation to establishment and development of the Forest Hill Golf and Country Club at village Karoran and to report as to whether any one of them indulged in taking direct or indirect gratification and/or acted in violation of the Conduct Rules. It also ordered to constitute a Special Investigation Team of the Central Bureau of Investigation to probe as to how much lands are actually owned by Col. B.S. Sandhu, his family members and/or the societies/ companies floated by them. The Court concluded that the finding of the High Court isn’t correct in law. The Court looked into the object of the Forest (Conservation) Act, which was enacted with a view to check “further deforestation” and was to apply to all forest irrespective of the nature of ownership or classification thereof. The Court said that the question to be decided by the High Court was a factual one and High Court should have decided this factual question on the basis of Government records and other material instead of the provisions of the PLP, Act and records of the Forest Department. Moreover, the Bench asserted that the High Court has affected the legal rights of several villagers, agriculturists, farmers, shop owners, inhabitants of village Karoran, District Ropar, who were carrying on their respective occupations on their land even before the enactment of the said Act on 25.10.1980. In our view, the High Court should have been very careful before recording findings which affect the property rights of persons protected by Article 300A of the Constitution.